Intacs are small pieces of plastic. Technically they are made of a material called PMMA. This is a rigid material. To understand how intakes work we will first revisit the disease keratoconus. Keratoconus as you may remember is caused by the weakness of the cornea leading to thinning and provision. The apex of the cornea points downwards. The apex falls below the line of sight leading to higher order aberrations and disproportionate decrease in vision. intuitively if we can bring the apex back in the line of sight the optics can improve leading to better vision. creating a new limbus or margin. Intacs stretch and push up the thin providing cornea. Some of the effect with i brace is immediate. Intacs are medical device designed to be implanted in the cornea at a depth of approximately seventy five percent. They are inserted in the mid periphery of the cornea. Intakes for keratoconus have postioning holes which allows them to rotated once they are inserted through a small radial incision. 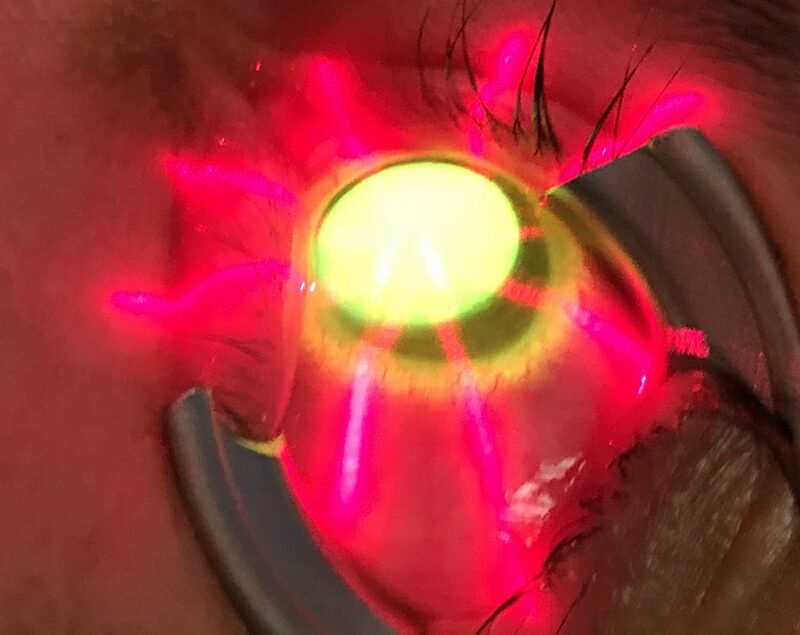 Intacs continue to stretch and elevate the cornea over months and years thus continuing to improve vision. If for any reason the intakes need to be removed the holes come in handy.